Bex London's Londoner niche line will launch W11, the fifth fragrance in the London-inspired series that already includes SE1, N6, W1X and EC2. W11 is a floriental "inspired by the vintage glamour of the 30’s", and features notes of cassis, pimento, violet leaf, freesia, ylang, musk and oud. 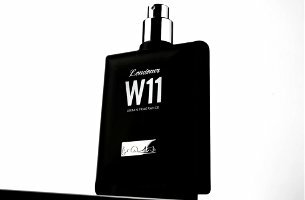 Londoner W11 will be available in 100 ml Eau de Parfum, £98. What, no SW3?! I’m deeply offended… I don’t believe I’ve tried any of their fragrances, but this sounds interesting. Hey, maybe they’ll be like Bond no. 9 and just keep on going! You can find them at Harvey Nicks & Les Senteurs.